The beige Spanish-style home Phillip White settled into four decades ago sits at the entrance of a tranquil, tree-lined street in the Leimert Park neighborhood where retired teachers, cops and civic workers enjoyed their slice of the American dream. Worried that the elderly in the community might be an easy target for crime, White, a former probation officer, galvanized his neighbors to form a watch group years ago. He was often seen walking the neighborhood on his way to Tak's Coffee Shop, where he was a regular. "He would protect the area as best he could," said longtime friend Earl Richardson. But in recent years, White's walk slowed and he occasionally stumbled, as multiple sclerosis took hold of his 62-year-old body. His mother and stepfather, who lived in nearby Baldwin Hills, would stop by to check on him, friends said. On Monday, they parked their blue-gray Mercedes-Benz on the street. It was still there the next day, which was unusual. A neighbor notified White's son, authorities said. When he arrived that evening, he turned the knob of the front door, but it was locked. He peered through a bathroom window and saw three bodies stacked on top of one another. White; his 77-year-old mother, Orsie Carter; and his 82-year-old stepfather, William Carter, all showed signs of blunt-force trauma. At least two had sustained gunshot wounds. On Wednesday, authorities said they are looking for Nancy Amelia Jackson, 55, a woman considered a friend and caretaker of White. But they hesitated to call her a suspect or person of interest. Instead, Jackson was named a "material witness," and authorities said they were concerned for her safety. "You just never know; these things are not always the way they seem," said Los Angeles Police Capt. Peter Whittingham. "We don't have any information that anybody was here, but who knows?" Whittingham said there was no evidence to point to a home invasion or robbery. Car keys were found inside the home. Wallets and valuables sat out in open view. Friends and family said Jackson was White's longtime friend who re-emerged in his life six weeks ago. White, known by many as quiet and kind-hearted, allowed Jackson to move in temporarily, childhood friend Ralph Tilley said. She had said she planned to move to Las Vegas, but she then refused to leave. White's mother called Tilley on Saturday to ask about the woman. Two days later, White told Tilley that he had the situation handled and that Jackson had agreed to move out. 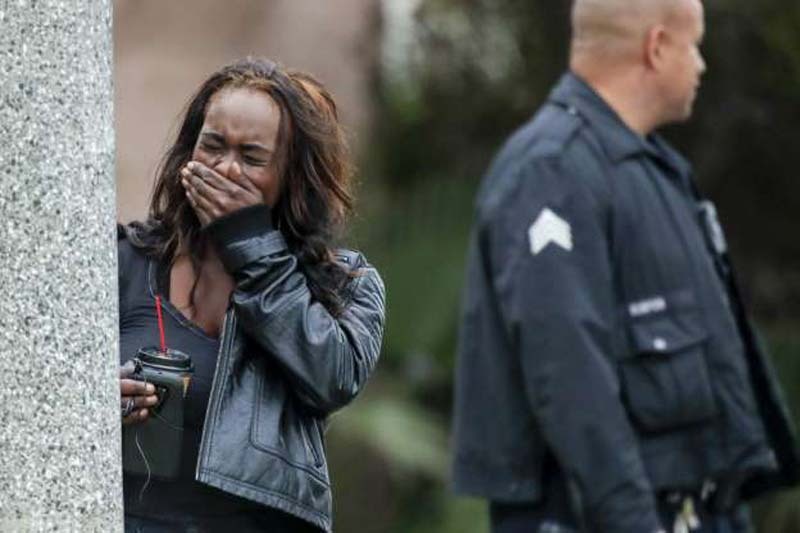 Nashun Carter, 35, a great-niece of the elderly couple, wept as she stood near the house. She said her sister had called her to tell her the news. "I was lost for words because they are such good people," she said. "They are so strong. Believers in God and Jesus. ... You would never think nothing like this would ever happen to them." William Carter was a retired truck driver for Vons, and his wife was a retired federal government employee, Carter said. "She was amazing," Carter said of her great-aunt. "Real Christian. Big, big, big faith. When we first moved down here, she took us to church every Sunday, and she made sure we got closer to God." White was a high school track star who, in 1970, placed in the top five in the state in the 200-meter dash, friends said. He would often reminisce about his days running track and playing football while sitting around the dining counter at Tak's Coffee Shop on Crenshaw Boulevard. "This is the worst thing I've ever heard," Tilley said. "I can't believe it. I'm still in shock."